I’m new here. Not just to this humble blog, but to the UIWRSO family, as are my 67 classmates of the recently officiated Class of 2021. Even nearly 2 months into the exciting and sometimes intense undertaking otherwise known as optometry school, I find myself still undergoing introductions with peers I have yet had the chance to say hello to. Through this challenging four year experience, and even onward into the professional world, these people will become my second family. Peers that will be there to answer each other’s questions, and send each other encouragements or memes for quick laughs late into the night during exam week. Shoulders to lean on during moments of surmounting stress, when concepts won’t seem to ever click, and friends to celebrate with after overcoming hurdles. Some of us have heard a calling to the optometric profession since our undergraduate years or even before. And yet others such as myself began our professional careers in other fields, and somewhere along the road found ourselves in San Antonio, in this distinguished program. No matter our background or where we call home, we’ve all been brought here with one common dream: to one day change the lives of patients through our optometric practices. Fortunately, we aren’t alone on our conquest to professional success. Since even before beginning the program, the UIWRSO community has been exceptionally welcoming and accommodating. Something that drew me towards UIWRSO since meeting the staff at interviews is that they genuinely care about our education and training. As demanding as their own courses are, the upperclassmen have also been so helpful in guiding us into a smooth transition. Along with Janelle, I will be documenting my experiences here, as well as sharing resources and tips that have helped me along the way. 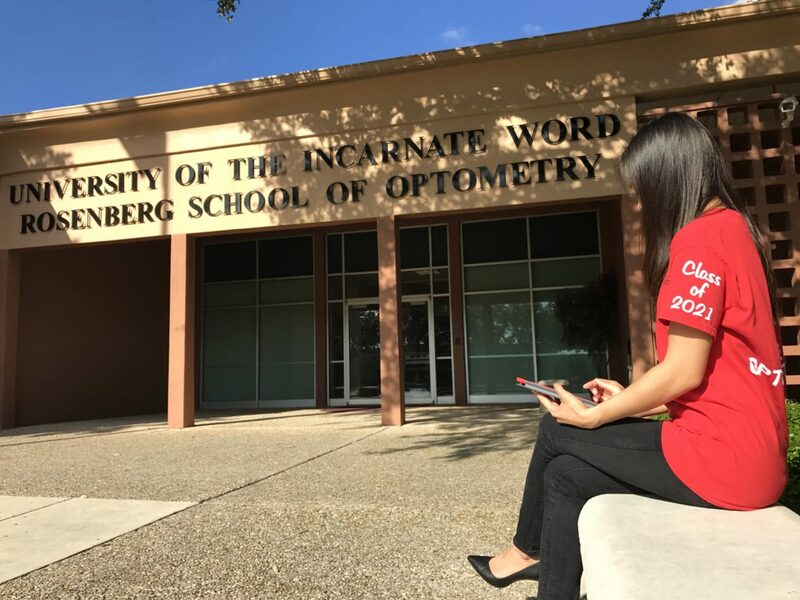 To aspiring students, applicants, and the curious, take a peak at the every day life of a UIW optometry student. My dear fellow first years, let me put our shared experiences down on metaphorical online paper. And to the respectable upperclassmen and RSO faculty, enjoy reliving these first year moments, from stress-induced tears and nervous breakdowns of exams, to the unforgettable memories of first patient interactions. Hi, it’s nice to meet you. Through my entries, I will be sharing with you the RSO experience, from the perspective of a first year.